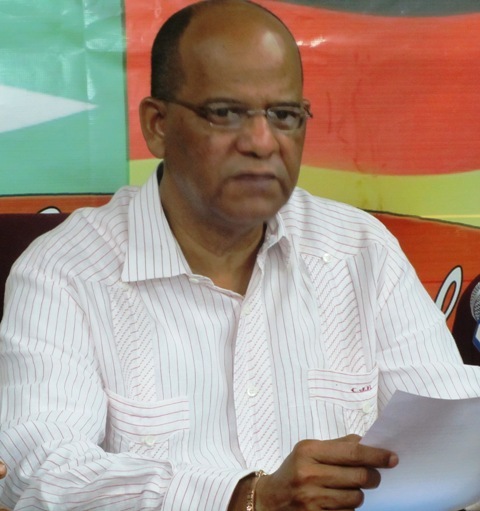 [www.inewsguyana.com] – The People’s Progressive Party has established an integrity and discipline commission to ensure that members of the party who serve in public offices maintain the highest level of integrity in the performance of their duties. The commission is made up of five “long standing executive members”; however, General Secretary Clement Rohee was very hesitant to reveal the names of all the members. When questioned, he only revealed two names – Dr. Roger Luncheon and Clinton Collymore. When asked for the rest of the names, Rohee refused to divulge. According to him, the Commission will investigate allegations in relation to theft, bribery and forgery. The Commission is also mandated to investigate misconduct by party members, who engage in activities unbecoming of a good member, including defamation and sexual harassment. “The decision to establish the commission flows from the last congress and the new central committee deliberations where it was affirmed that additional steps be taken to establish a mechanism to address allegations of misconduct and reinforce party discipline at all levels,” Rohee told a news conference at Freedom House on Monday October 21. The Commission will only commence an investigation if a report is made by members of the public or a PPP member against another member of the Party. After investigating, the Commission will report its findings to the executive committee of the PPP.